There are many reasons why DC would be such a great place to meet. 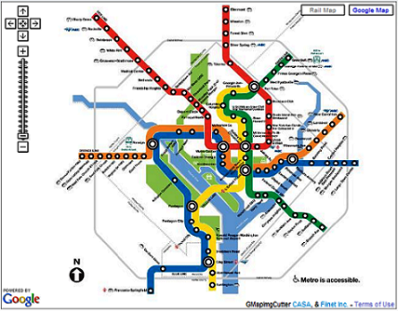 LOCATION AND TRANSPORTATION: It has a great Metro (subway) system that would allow us to not have to rent a car. 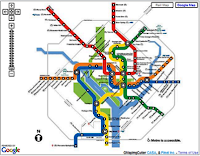 It is serviced by three airports, the Ronald Reagan Washington National Airport, the Dulles International Airport, and the Baltimore Washington International Airport. Also, Amtrak offers service to the Washington area from many places in the country. In addition, many people from the Northeastern US were unable to make last year’s meetup in Nashville, and the DC location would make it easier for them to attend this year. We were discussing maybe holding next year’s meetup further west, maybe just east of the Rocky Mountains to be closer to our members on that side of the world. But for this year, it seems that DC is the spot. HOTEL: Since the Embassy Suites was such a hit in last year’s meetup, another Embassy Suites was unanimously recommended for the DC Meetup in Spring 2011. We are going to look at one near the Dulles International Airport, since it would probably be much less costly than one near central DC. The hotel’s spacious lobby with its cozy waterfalls gardens makes for a welcoming and laid-back ambiance where one feels relaxed and more at ease talking to others in the group. 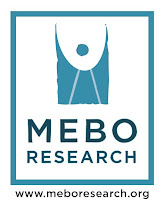 HOTEL ACCOMMODATIONS: As we did last year, MEBO Research will negotiate a group corporate rates and a Governor’s Suite. The accommodations would include complimentary airport shuttle and shuttle service to the Metro, daily full breakfast buffet, and the 2 hour Manager’s Reception with complimentary alcoholic and non-alcoholic beverages and snacks – something similar to last year’s accommodations in Nashville (though the room rates may vary slightly). We won’t know what room rates will be yet until MEBO makes the arrangements with the hotel. SIGHTS AND LANDMARKS: The best part of Washington DC is found in “The National Mall and Memorial Parks,” where one can enjoy many beautiful and meaningful sights free of charge. The Mall is an open-area national park in downtown Washington DC administered by the National Mall and Memorial Parks unit of the National Park Service. This Mall encompasses the area between the Lincoln Memorial and the United States Capitol, with the Washington Monument almost mid-center. Along the sides of this approximate 1 mile (1.6km) long and 400 feet (120m) wide area are the Smithsonian Museum buildings with priceless collections, including the Air and Space Museums, Natural History Museum, American History Museum, and many more. And let us not forget the moving experience one feels while visiting the Memorial sections including the Vietnam Veterans Memorial, the National World War II Memorial with the Reflecting Pool that divides them (seen in the Forest Gump movie), the Korean War Veterans Memorial, and the District of Columbia War Memorial. We are still in the initial phase of organizing this meetup with the exact dates yet to be determined, but we do hope everyone from around the world will join us in this very special event, so this will be the first of the many more posts yet to come. Looking forward to meeting everyone.